SabOKAH Burmese are now bred in melbourne australia!! Home of New Zealand's first Supreme Pedigree Exhibit at the NZCF National Show 2010! My son Shane and I have gone back breeding together after about a 10 year break. Shane and his partner Shaun are breeding beautiful SABOKAH babies. We are situated in Wanganui, North Island, New Zealand and Melbourne, Victoria, Australia. 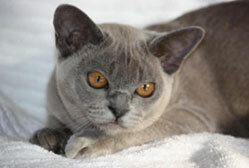 Our aim is to breed Burmese cats of good type, quality and personality. Breeding Burmese cats since 2001. 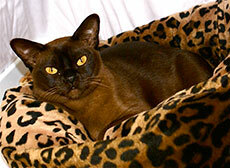 SABOKAH Burmese is a closed independent cattery. 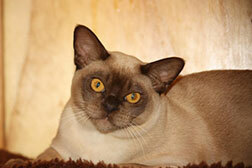 We established our breeding programme from personally selected Burmese in Australia. We have a preference in looks of the Burmese that we like and we were not able to get that here in New Zealand, so all our foundation breeding cats are imported from Australia. We have established a family of lovely Burmese cats who I will proudly introduce to you. 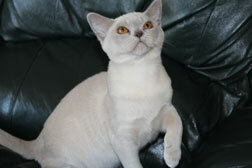 To see our Burmese cat family click on the links at the top of the page. We currently breed the color's brown, blue, chocolate, lilac, red, cream and a range of tortie colour's. We often have kittens available for adoption and ready to go to their new homes. If you would like to enquire about adopting a kitten email Carla on sabokah@gmail.com or call us on +64 220997724. All our kittens are transported around New Zealand via Pet Travel flight booking service.